The May issue of BurdaStyle Magazine has been announced, and it looks like the Burda tradition of the May “dress” issue is back! When I first leaned about BurdaStyle Magazine (nearly a decade ago! ), the May issue was always full of spring and summer dresses, but I feel that has somewhat lessened in recent years. But, honestly, this year the May issue is all about the dresses. There’s lots to look at, so let’s get started! This jacket is ok; it reads as having much less detail on the model than it does in the line drawing. I’m not sure it is something I’d need to have in my closet, but I can understand the appeal of having a lightweight jacket like this to wear over a spring dress. I’m not overly excited by this blazer. It’s a bit boxier, but almost to the point of looking pretty ill-fitted on the model. I think there are other recent options from Burda which have been better. Now for the real meat of this issue – the dresses! Based on the line drawing I would have dismissed this button front dress as being a bit boring, but I love the way it looks on the model! I love the casual vibe from this style. Basically the same style as the previous design, but with less intense button usage and a slightly shorter hem. Fabric choice is key to this design I think; personally I really respond to the softer fabrication as opposed to the white design where the fabric has more body. This dress feels quite similar to styles we’ve had in recent Burda issues, mostly because the sleeve ruffle trend has made so many of these styles look quite similar. I do think this has a nice balance of volume between the top and skirt though. This is another style that combines a lot of elements we’ve had in other Burda designs, but I think the simplification of the style lines on this version makes it really great for a bold print as shown here. Burda has really done a fantastic job of fabrication and styling in this issue! This sheath dress is also not incredibly innovative as far as style lines go, but I still really like it. The v-neckline with the crossover panel is really elegant, and the twist belt can add a touch of interest to an otherwise simple design. This wrap dress is also not incredibly unique, but I do think it looks like a nice option for a spring wardrobe, and it looks pretty quick to sew up. I like the length options, and the sleeve gathers/ties are a fun detail. It looks like casual lazy chic. Can that be a thing? I think Burda made it a thing. Speaking of casual lazy chic… we also get a T-shirt dress! The fish print fabric is one of those things where I feel like I’m supposed to be all “awww cute!” but instead my brain is like, “what adult would wear this out? Like, really though?” I mean, I’m all for a cute print t-shirt dress. But something about this print is just… no. The pattern itself it is fine. I mean, it’s a t-shirt dress. And it does have pockets! So, a bit of redemption there. This silhouette is one that I typically avoid for myself, but I do think the sleeves are cute. I think this is one of those styles that will either be great because you like this type of dress or a total pass because you really don’t. This blouse looks pretty similar in shape to the jacket from earlier; the Burda site informs me they serve different functions in a wardrobe but I somewhat disagree. It also looks much like other blouse/jacket patterns we’ve gotten from Burda recently, but perhaps a bit less refined in the cut and styling. I do like this top quite a bit though. I perhaps wouldn’t wear it over a dress as Burda’s done here, but it is an interesting way to showcase a print that would otherwise fade into the background of the photo shoot. This top is less exciting; I feel like we’ve also had quite a few styles that are similar to this one in recent months. This tank top isn’t particularly exciting, but I do like the way Burda has incorporated the lace into the design, and the pleats on the back are a nice detail. I don’t know why, but I really like this top! The embroidery design is a fun detail, and I really love the off the shoulder style. I actually like the pattern on this design as well! The fabric choice is perhaps not what I would have gone for personally, but I do like the neckline and hem of this style. The sleeves of this top are interesting. This is one of those styles that doesn’t look as impressive as a line drawing, but it really comes to life on the model. There aren’t many bottoms in this issue, but they are good pieces for mixing with other wardrobe items. We’ve had similar skirts from Burda in the past, but I think this is still a really great style. The simple lines work well with the print and the solid, and the wide waistband is a nice design feature. I love this pencil skirt! I’m always a sucker for an asymmetric design, and I love the way the fabric overlaps here. Plus, Burda’s use of the print as a horizontal and a vertical is really selling this design to me. And the styling is great! Yet another issue with above the ankle pants. Though the button fly is an interesting detail. Not really my personal taste as far as style lines go, but, at least there are some interesting details here. I do very much like this blazer! The gathered sleeves are such a fun detail! And the rest of the style, while still a bit boxy, isn’t nearly as overwhelming on the model as the grey blazer from earlier was for the smaller size range. I really like this whole outfit! The skirt is like a less fussy version of the pencil skirt from above, and the asymmetric top is pretty cool. Not sure I’d be… golfing? in this ensemble, but to each their own. This tunic/shirtdress is actually a pretty nice pattern. The bodice has a lot more fitting lines that other similar shirt dresses. This tunic top is sort of whatever. I mean, I do like the trim on the pink version, and I think the green version looks nice on the model, but, overall, it’s a bit dull. The jumpsuit might be kind of cute, I guess? Honestly, if fewer kids patterns means more patterns for me, I’m ok with that, even if it does make me sort of selfish. The pretty sleeveless dress! I saw this dress and I was immediately excited for this issue, regardless of whatever else it contained. Even though I’ve got similar styles in the stash, this one is somehow better and I really want to make it for whatever reason. It’s just so pretty! Fishy dress! Ok, so the pattern itself really isn’t that bad, but I just can’t get over the print. This isn’t secret pajamas – it’s just pajamas! So apparently it looks like there will be a special summer dress issue? Though it also looks like this is going to be a lot of reprint patterns from older issues, so perhaps it isn’t something I’ll need to get too excited about… I guess it remains to be seen. And that’s it! It doesn’t feel like we are getting a ton of innovation this month, but we are getting so… many… dresses! Honestly, I don’t think there is anything here that I couldn’t approximate from my stash, yet I’m still excited for this issue. I really do like so many of these dress styles, and I expect I’ll be making at least a few of them. At some point in the future. When I’m sewing for myself again… Hopefully before summer ends. This month has been crazy busy, but I have hope I’ll be able to do some selfish sewing soon-ish. What do you all think? Is this issue full of a bunch of repetitive styles that we’ve all seen before? Or are you so ready for spring sewing that you don’t even care? Feel free to discuss in the comments! I see a few things in this issue I like – that jacket for starters! Thanks for the review. I’m shocked that there is so much I like here…! Usually May and June issues leave me uninspired. The first jacket is on my future to-do list for sure – it looks like a rather neat shirt-jacket and that (to me) is super handy. The second jacket would suit (so to speak) someone tall like myself but I totally agree it looks SO ill-fitting on the model! How cool is that sweatshirt?? Really love it. Could I wear it? No idea, I’m definitely sewing it to find out! By the way, I really like how Burda is taking simple patterns (like sweatshirts) and playing with the designs and fabrics. I feel like I’m learning a little as I sew, or even if it’s not a design I like, it’s eye-opening to see what could be done with a pattern. Thanks for the reviews! Look forward to them every time! Yay! Sounds like you have a lot of sewing to do! Thanks for the review. I’m enjoying all the prints and all the dress patterns. I’m a sucker for dresses! Oooh, I like that one a lot too! Great review! Nice and clean designs, I feel this magazine is a keeper to which I’ll go back to… I think I’ll start with the blouse (yellow one) and the pants. Using colorful buttons will make a fun outfit! I love the blazer, the tank top and the pants. And I am usually a dress-person, some of the style lines are interesting on the dresses but the patterns ”missing” from my stash are not the dresses in this issue. But the blazer.. been looking for that one. 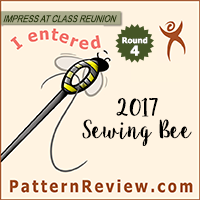 To read your review isalways interesting, a new perspective and appreciation for patterns and details I otherwise would miss. I think some of these look really familiar, so it could be! The very first skirt had me worried – that tiered apricot lace thing. 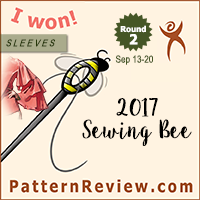 I am glad it is not a pattern on offer – hands down winner of the BWTF award for the decade! I not really a frock chick so this lot left me a bit bemused. The jackets are OK, but not exciting enough to hand over cash. Love this edition…so many things I would make. The drawstring shouldered dress is classic late 70s…I had one exactly the same as a teenager. Happy memories! I love the plus patterns in this issue…but that’s about it. I just couldn’t get excited about any of the offerings this issue. Most feel very “almost but not quite”. That’s usually how it works for me. I love it now or I love it later, but eventually it grabs me. The sheath dress is a chic little number that would be right on point for (attending) a summer wedding or nice dinner. About that fish dress, that’s something I’d expect to see on a mom pushing a toddler in a cart through Joann’s. It screams homemade. I have actually sewn a cardigan with the same embroidery decoration on the off shoulder top, it surprised me to even see it in a Burda Magazine! I am from Norway and we does not have much fabrics shops, so it is fun to see some of the things I buy from “stoff & stil” can be seen in a Burda Magazine.